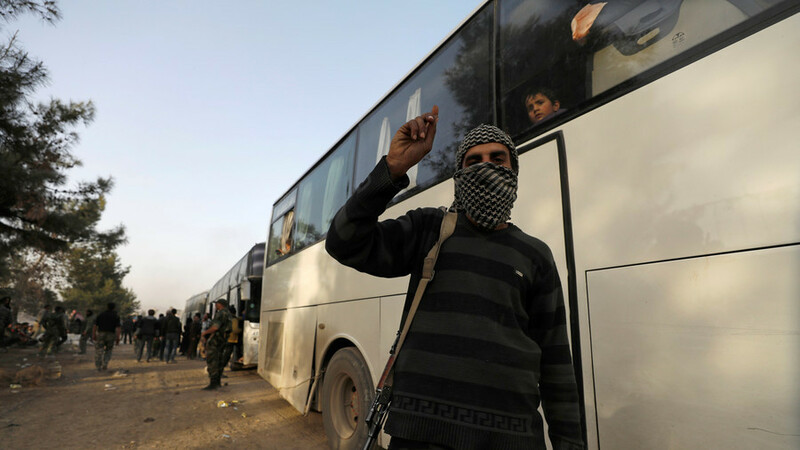 The Netherlands will end its support for Syrian militants, since the program did not yield the “expected” results. Earlier, journalists found one of the groups had been labeled ‘terrorist’ by the Dutch justice department. The program to support “moderate” anti-government groups in Syria was established in close cooperation with “like-minded donors who pursued the same goals as the Netherlands” and cost the country over $80 million (some €69 million) over the years, according to the document. 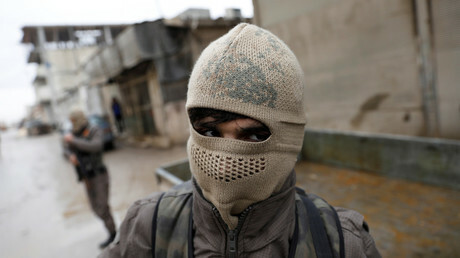 It failed to “bring the expected results,” however, and is to be closed since the Syrian troops “will soon win” the war against militant groups. Over the years, the Netherlands allocated $29 million (€25 million) to the so-called “non-lethal assistance” (NLA) program, $14.5 million (€12.5 million) were donated to the so-called White Helmets and $17.1 million (€14,8 million) went to the Access to Justice and Community Service (AJACS) program. The AJACS was supposedly designed to support “community police” work in Syria, specifically the so-called Free Syrian Police (FSP) group. The White Helmets have likewise been repeatedly accused of closely cooperating with jihadist groups and effectively serving as their media branch. The group has advertised itself as a volunteer force and Syria’s “civil defense.” The White Helmets have been widely praised in the West and even received an Oscar for a “documentary” movie. The mounting evidence, however, suggests, that they’ve been actively participating in other sorts of “filmmaking,” namely staging chemical attacks that were blamed on the Syrian government. Turkey has been a NATO ally since 1952, and US aircraft have used Incirlik Air Base in the south during the operations in Afghanistan and Iraq. The base is home to a stockpile of US tactical nuclear weapons. A perusal of media reports leads to the conclusion that Turkey and NATO are heading for a major rift or even a breakup – a problem the North Atlantic alliance hasn’t experienced in its nearly seven decades of existence. Germany and the Netherlands have blocked Turkish ministers from staging rallies to court the vote of expatriate Turks in the April 16 referendum on giving President Erdogan greater powers. Denmark is siding with its north European neighbors. Turkey faces deep differences with the USA, accusing it of being behind the failed plot in 2016. Both countries have opposing views on the role of Kurds in Syria. Former State Secretary John Kerry came close to threatening Turkey with the loss of its NATO membership. Add to this the perennial tension between Turkey and Greece and the problem of Cyprus to get the whole picture. According to Bloomberg, «All in all, Turkey appears to have more disputes than friendships with its NATO allies. And its engagement with the alliance itself, which it joined in 1952, isn’t particularly strong». The NATO annual report for 2016 says Turkey only took part in four of the 18 key NATO exercises held last year. Despite having the fourth-strongest military in the bloc (after the US, France and the UK but ahead of Germany) and the second-highest number of military personnel (after the US), its involvement in NATO’s deployments is small, amounting to just 4 percent of the personnel in the mission to train the Afghan security forces, and 7 percent of the Kosovo force. Ankara has recently blocked some rolling programs with NATO, including political events, civilian projects and military training, in an escalation of a diplomatic dispute with a number of European states. Turkey is unable to block cooperation with full-fledged NATO members. The move to block the activities is apparently aimed at Austria, which is not a member of NATO but is a partner country. It has banned Turkish referendum rallies on its territory. Austria has called for the EU to end accession talks with Turkey over alleged human rights violations after the aborted coup. As a result, a very important NATO project to threaten Russia is in jeopardy. This month, Brigadier General Vladimir Chachibaia, new Chief of General Staff of Georgian Armed Forces, proposed to turn the port of Poti into a NATO military base. This, he argued, would help the alliance get around the provisions of Montreux Convention, which limit non-Black Sea powers access to the Black Sea. Increasing the number of port calls is a way to boost the bloc’s naval presence, but the passage of naval ships not belonging to Black Sea states is restricted by the Convention. Strengthening the naval forces of Georgia and Ukraine and building a bloc’s «coast guard» base in Georgia would boost NATO’s sea power in the region. Poti could become a home port for the ships of Black Sea NATO members. Georgian military expert Irakli Aladashvili told Russian Kommersant daily that the facility would be protected by ground based weapons systems and land forces. Ukraine’s plans to buy old ships from NATO members could also be suspended. Turkey’s action encompasses many more areas of NATO’s activities. The programs cover most of Europe, plus many countries in the Middle East and Asia. Kosovo, Georgia, Ukraine and Afghanistan are affected. Austria is one of the biggest providers of troops in Kosovo. «It is a very unfortunate situation and it means some cooperation programs can’t be launched», said NATO’s Secretary-General Jens Stoltenberg during a visit to Copenhagen. Last November, Turkish President Recep Tayyip Erdogan said Turkey could become part of the Shanghai Cooperation Organization (SCO). The idea had been discussed with Russian President Vladimir Putin and his Kazakh counterpart Nursultan Nazarbayev. Established in 1996, the SCO is a political, military and economic organization comprising Russia, China, Kazakhstan, Kyrgyzstan and Tajikistan. Iran, Mongolia, Belarus and Afghanistan are granted observer status. India and Pakistan are set to join this year to make the SCO a powerful group with global influence. Turkey’s accession would be a milestone bringing together the Shanghai Pact and the Cooperation Council of Turkic-Speaking States (CCTS) – an international organization of Turkic countries, comprising Azerbaijan, Kazakhstan, Kyrgyzstan and Turkey. The General Secretariat is in İstanbul, Turkey. Turkmenistan and Uzbekistan are possible future members of the council. Turkey is developing military cooperation with Russia. This January, Russian and Turkish air forces launched a joint operation against Islamic State (IS) militants holding the town of al-Bab northeast of Aleppo. The parties have agreed to form a joint military and intelligence mechanism to coordinate their activities in the Middle East. If peace efforts to stop hostilities in Syria succeed, Russia and Turley lead the crisis management process. It could be a start on the way to forming a broader alliance against global terrorism. Russia and Turkey have been getting increasingly close recently, especially after the two countries brokered a Syria truce in late December to join together in the Astana process. Turkey is in talks with Russia on purchasing the advanced long-range S-400 air defense systems to protect its skies. This issue was on the agenda during the President Erdogan’s visit to Moscow on March 9-10, 2017. Ankara also seeks procurement deals in electronic systems, ammunitions and missile technology. Both nations are parties to the ambitious Turkish Stream natural gas pipeline project. It should be noted that Russia, not the US or any other NATO member, was the first country to be visited by the Turkish president after the failed coup last year. Turkey is distancing itself from the West while getting closer with the partners outside NATO and the EU. The abovementioned events conform to the trend. NATO stands to lose its second largest military power as well as one of its key airbases, while Russia, China and other countries are developing the relationship of alliance with the country, which enjoys a unique geographic location between Europe, the Middle East and Asia. It gives it easy access to strategically important areas and major energy resources. Turkey is a founding member of the OECD (1961) and the G-20 major economies (1999), it has the world’s 15th largest GDP-PPP and 15th largest Nominal GDP. The development is a major loss for the West and a major win for those who strive for a multipolar world. In the worst moments experienced by the administration of the Turkish President Recep Erdogan with Washington, and in the light of the developments of the events in the northern of Syria and the sticking of the US officials with the priority of their relation with the Kurds and the inability of Erdogan to understand that, for the second time the dilemma of the sense of greatness has been revealed as a barrier without realistic thinking in the Turkish ruling mentality. The issue according to the Americans neither related to the magnitude of the military capacity of the parties nor to the attitude toward the Turkish country and the keenness to ally with it. Simply, Washington needs for a non-governmental Syrian party that grants it the legitimacy of deploying troops and experts and forming airports in Syria under the title of privacy that has magnitude of the realistic legitimacy and the ethnic or the national legitimacy, it needs for a party that responds to the US demands that is not loyal to any other country than America. In these two issues Turkey is like America it behaves like it toward the armed groups which affiliated to it, it wants from Washington to deal with it in order to get its legitimacy for the Turkish occupation that resembles the US occupation, even if the Turkish occupation was covered by a title of confronting the danger that threatens the security of Turkey, once under the pretext of the Kurds or the support of the armed factions that are loyal to Turkey. The pretext of the Americans remains the stronger in the war on ISIS and their coverage is more important through the relation with the Kurds. The Turkish crisis occurs with Netherlands and Germany for the same reasons, the Turkish President and his government are waging a confrontation under what they consider a democratic right by communicating with the voters before the referendum, forgetting that he is talking about immigrants in another country, so what is presented by him is not to sign an agreement that allows the hosting country to organize electoral festivals and to receive the speakers from the two teams to identify the attitudes and to practice the choice, in favor of the resident communities, but it is an exclusive right of the representatives of the rule to mobilize their immigrants to vote for its favor. It is surprised to find the coming governments which want to hold elections and in respect of the privacy of the Turkish position toward the organizations of ISIS and Al Nusra and the issue of the refugees pave the way for Turkish governmental festivals that do not evoke campaigns of the extremist right, because Turkey does not see any law or logic but the one which helps it to be surprised for not dealing with its priorities, as the priorities of the others. Politically, it is not possible to describe the Turkish anger along with the expressions and threats but only with the political madness for a frustrated country that lives the defeat and the isolation, and instead of absorbing what is surrounding its policies as complexities or making a review that allows drawing policies that commensurate with the variables it turns into a source of crises, that spreads anger and tension. This is the beginning of the tragic end of the countries which think that their size is protecting them. Previously, Turkey has experienced that with Russia, but the result was disastrous, and it has been forced to apologize, but the problem of the rule of Erdogan is that he wants to win in the referendum by provoking the Turkish feelings of the voters who live as their president the illusion of the sultanate and the arrogance of greatness, and whose their egos please the anger of the president and provoke them to vote for him according to the powers of the Sultan, but after the referendum he will leave the arrogance after he will send secretly to the Dutch government that “ I think that the crisis and the tension benefit both of us in the elections so we have to win together, in order to reconcile after the elections”. Erdogan is a kind of the politicians who is aware how to deal with the game of the folk in the relation of the leader and the street’s people, its key is tickling the tribalism of the privacy and the greatness, then it is possible to fluctuate between the matter and its opposite without consideration or questioning. And thus the leader will be in an image that simulates the divinity over the change and its laws. أردوغان .. الحاوي التركي ?